Looking for a costume to scare the kids this Halloween? Look no further than the Adult Demon Horse Skull Costume! 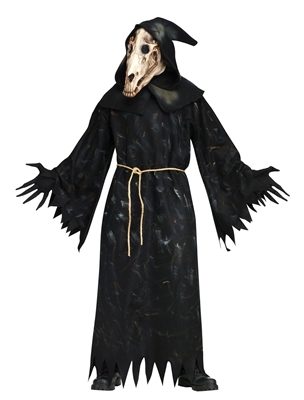 The costume includes hooded horse skull mask, black robe, rope belt, and gloves. One size fits most adults up to 6' and 200lbs.